As with most things in the human body, we don’t really think about our ears until they don’t do what they are expected to do. The ears occupy a central location in the head making diseases of the ear have wide reaching effects. Ears are notably difficult to examine and require special instrumentation and testing for evaluation of anything more than the most basic ear infection or wax impactions. 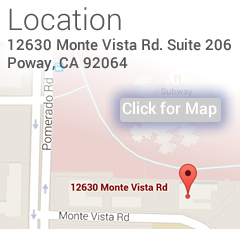 Dr. Wadhwa of Rancho ENT near Poway is a hearing doctor with extensive training and experience in audiology and treating ear-related issues. You should visit the audiologist as soon as you notice any abnormalities in hearing or pain in the ears that might indicate an infection. Our ears are first responsible for hearing sound. The quality of our hearing greatly impacts our quality of life as it is essential for most basic forms of communication and social interaction. The energy and brain power that we must expend to compensate for hearing loss can be tremendous, and the social withdrawal associated with hearing loss can be debilitating. 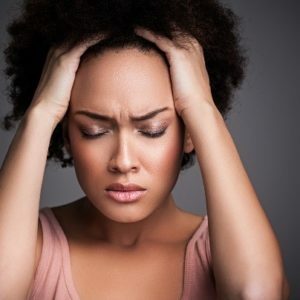 Hearing loss on a basic level can simply be broken down into conditions where either this is a problem of sound getting in (conductive loss) or a problem of the nerve picking up sound (sensorineural loss). Our audiologists have many surgeries and medical treatments for fixing conductive losses, but we are still waiting for technology to catch up with curing sensorineural losses. Although we may not be able to correct all forms of hearing loss today, fortunately technology has made it possible for us to compensate well through medical care, surgical care and the use of hearing instrumentation such as hearing aids or cochlear implants. If you suspect your hearing is not what it used to be, schedule an appointment with us for a hearing test at our San Diego office. 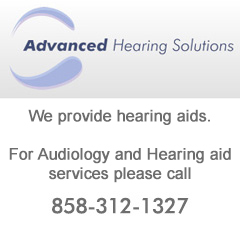 If our audiologists determine that your hearing has worsened, we will work with you to determine whether a hearing aid, cochlear implant or another hearing treatment is best for you. In addition to problems hearing, the ears are subject to frequent infections, particularly in children. Because of their need to ventilate and communicate air to nose and throat passages to equalize air pressure, conditions of the nose and throat frequently translate to secondary ear problems. While some problems may be self-correcting or easily treated with antibiotic therapy, others may require surgical drainage to restore hearing and function to the ear. The neighboring areas to the ear include the brain, the arteries and veins to the brain and neck, and the jaw joint. To complicate matters even further, the ears share common sensory nerves with the throat, the teeth, the nose and the jaw joint making for a diagnostic challenge for anyone with the simple complaint of ear pain. Understanding the cause of ear pain and proper treatment of ear infections, except in the most basic instances, often will require the specialty understanding of the entire head and neck to achieve successful outcomes. Aside from problems hearing, perhaps one of the most acutely debilitating malfunctions of the ear is the loss of balance function. The vestibular system of the ear is responsible for helping us stay upright and to be able to move without falling over. Together with the brain, vision and sensory feedback from our feet, the ears form an integral part of the apparatus necessary to make motion and balance possible. Understanding the complex interplay of all of these different aspects of the balance system, makes the treatment and management of balance disorders a medical challenge. If you’ve experienced vertigo or tinnitus, it may be time to visit an ear specialist. 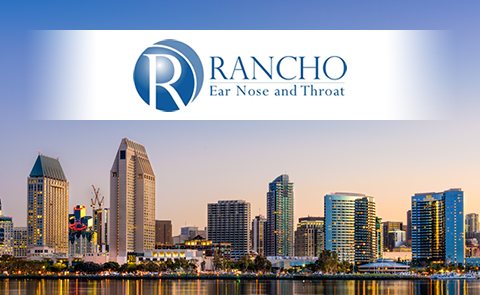 At Rancho Ear Nose and Throat we have the expertise with all aspects of ear and balance problems to expeditiously and cost effectively diagnose and treat your ear condition. 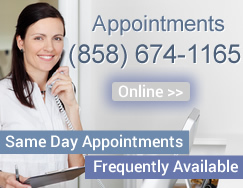 Please contact us to set up an appointment for a hearing test or a general examination of ear, nose and throat health with Poway ear specialist Dr. Wadhwa.